The 50 Best Music Documentaries of All TimeFrom Woodstock to Beyoncé’s Homecoming, these films are as essential to understanding the artists as any of their records. Another Grammys, Another Year of Confusing Rock NominationsIt’s getting harder and harder to define what rock is supposed to be. An Unconnected Group of Indie-Rock Bands Search for Meaning in a Difficult WorldFrom LCD Soundsystem to Wolf Parade, indie bands are asking big questions about life, without much hope of finding answers. On LCD Soundsystem’s American Dream, James Murphy Rediscovers His PurposeThe front man has always been obsessed with how he lived his life, but he had to take a couple years away from music to clarify his perspective. LCD Soundsystem Released Another New Song ‘pulse (v. 1)’ Ahead of Album ReleaseThe track will not appear on American Dream. 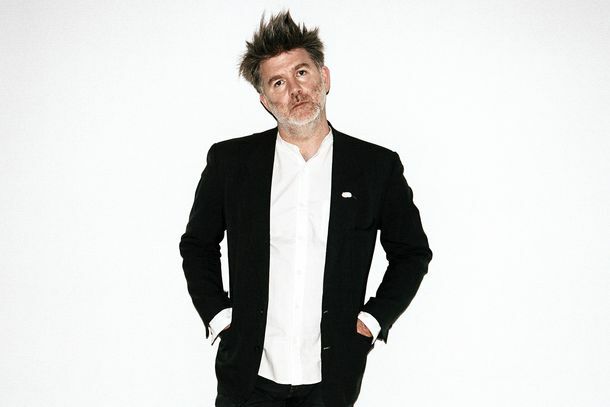 James Murphy on LCD Soundsystem’s Return – and Why They’ll Never Break Up AgainThe LCD Soundsystem front man on music’s progress, his band’s return, and the moment of spite behind its famous farewell concert. LCD Soundsystem Release First Video From New Album, for Their New Song ‘Tonite’The band’s new album American Dream is out September 1. Please Don’t Drag David Bowie Into the Debate Over LCD Soundsystem’s ReunionJust leave him out of this, please. LCD Soundsystem’s New Song ‘Call the Police’ Is HereThe album is allegedly close. The Concert Ticket Industry Is Still BrokenLive music is booming, but who is actually buying the tickets? LCD Soundsystem Will Be Playing New Music During Their Brooklyn ResidencyThe Bots shall be pleased. Watch LCD Soundsystem Honor Prince With a Voluptuous Cover of ‘Controversy’LCD played the iconic 1981 song during their latest Coachella set. Watch LCD Soundsystem Guns n‘ Bowie“We earned an extra f*cking song,” Murphy said. LCD Soundsystem’s Reunion Show Proves It Hasn’t Lost Its EdgeWhen Murphy sang the opening line of “Tribulations” — “Everybody makes mistakes” — it sounded like an admission that perhaps he had stepped away from the spotlight much earlier than he should have. LCD Soundsystem, Like Jesus, Will Rise From the ‘Dead’ This WeekendThey’ve announced two NYC shows. Radiohead, LCD, RHCP Headline LollapaloozaOther performers include Lana Del Rey and J. Cole. Bonnaroo 2016: LCD Soundsystem, Dead & CompanyThank you, Conan O’Brien. Guns N’ Roses, LCD Soundsystem Confirmed to Reunite at Coachella 2016GnR is confirmed to headline the festival. LCD Soundsystem May Reunite at CoachellaConsequence of Sound says it can confirm that the band will embark on a reunion tour in 2016. Hot Chip Cover Springsteen & LCD SoundsystemThe songs belong together. James Murphy’s Quest to Make the Subway Sound Less Awful It’s sort of like playing a lyre in a dungeon. James Murphy and His Glockenspiel Covered David BowieFor Noah Baumbach! LCD Soundsystem Is Finally Releasing a Boxed Set of Their Final ShowThe Long Goodbye: LCD Soundsystem Live at Madison Square Garden. LCD Soundsystem Performs ‘Dance Yrself Clean’Please come back? The LCD Soundsystem Doc Will Be in Theaters … for One NightOn July 18. LCD Soundsystem Documentary Plays Sundance to Minimal Aisle DancingBut much applause. Shut Up and Play the Hits Trailer: LCD Soundsystem Says Good-bye, AgainFeelings. Listen to LCD Soundsystem’s Cover of Franz Ferdinand’s ‘Live Alone’It was recorded pre-MSG. Watch the JumboTron Interviews From LCD Soundsystem’s Final ShowNow, thankfully, the two dudes in panda suits can be heard. Good-bye, LCD Soundsystem: James Murphy’s Art of Hopeless CommitmentHow a band that once seemed to be satirizing hipsters wound up asking real questions about functioning as an adult. Watch a New, Totally Wonderful Muppet–LCD Soundsystem VideoIs it too late to book the Muppets for MSG? James Murphy’s Quitting Music for CoffeePerhaps he’ll pursue a job at Starbucks? How MTV Plans to Resurrect Music Videos (Hint: By Financing Them)The new LCD Soundsystem video “Pow Wow” (starring Anna Kendrick) was bankrolled by MTV in an attempt to give music videos a jump-start. Watch LCD Soundsystem’s New Video, ‘Home’A robot tries to fit in at a house party. Industry Roundup: Vaughn, J.J. AbramsPlus: LCD Soundsystem and Hot Chip to tour together. 12 Odd, Inspired Rap CollaborationsJoanna Newsom, rap darling. Kid Cudi Raps Over LCD Soundsystem on His New MP3, ‘All Talk’It’s a good one — click through for a free download. Song of the Summer: The Search Begins!We now begin scanning the charts, airwaves, and blogs for that transcendent summer anthem.